Today we are going to attempt to make a new scarecrow for the garden. Something a bit like the guy below. I want his head to be one of our lighted jack-o-lanterns. We had one for years but he fell apart and so I think I want to make a new one to stand in the garden. Here are a few inspirational photos from the web. So what are you up to today? Can't wait to see how your man turns out! The pics you shared are fabulous! Nothing planned for me, I've got chili on for lunch. I'll go make some cornbread in just a bit. Have a great Sunday! Cute. I love making scarecrows!!!! Have fun. We are at the lake. 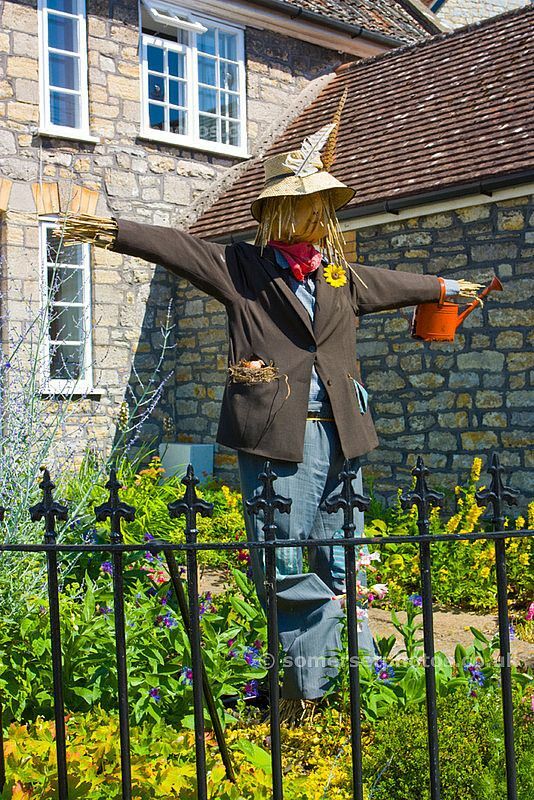 scarecrows just say Fall to me, love them! Great Scarecrows - but so early yet!! Rather- so hot yet!! Cute scarecrow. Today I am attempting to decorate a Star Wars cake for my grandsons birthday. I love scarecrows, but have never liked any I created:) I'm sure yours will turn out great. I have a sore throat today, so not feeling like doing much. I am trying to do a little weeding and will be making an apple crisp later. aww, what fun. hope to see yours soon. i love fall. Cute scarecrows! I know yours will be darling. Can't wait to see him (or her). I've never made one, do they work, they look good. What a family fun things to do. It was my MIL 89th bday today so we took her out for lunch. I'm looking forward to seeing yours. It finally rained a bit! A little cooler. So glad. 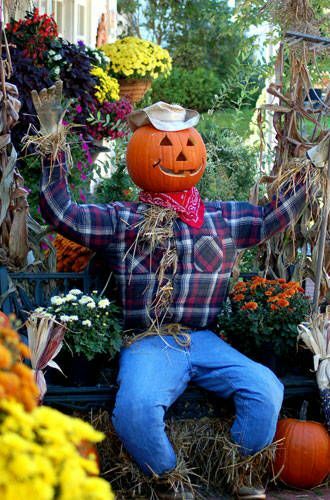 I would like to make a scarecrow. Maybe next year. Can't wait to see how it turned out, Elaine. I love your new blog design! It absolute suits your beautiful, sunny life. My scarecrow, Betheune, is clothed by friends who work in a thrift store. Right now she has her prom dress on from May. I need to search for a fall ensemble for her as soon as it gets a little cooler here in the piney woods of east Texas. 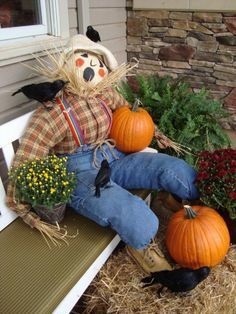 I love scarecrows, and it's so interesting to see everyone's versions of them. In the nursery we used to have a good time by dressing them up like our boss. He was a good sport about it too.